It’s Hitchcockian science-fiction with a throbbing pulse and a big heart. Some smart storytelling is belied by some sloppy storytelling but Source Code is saved by great camera work, a runaway pace and engaging acting. Might as well get this out of the way… Groundhog Day. There, I said it. 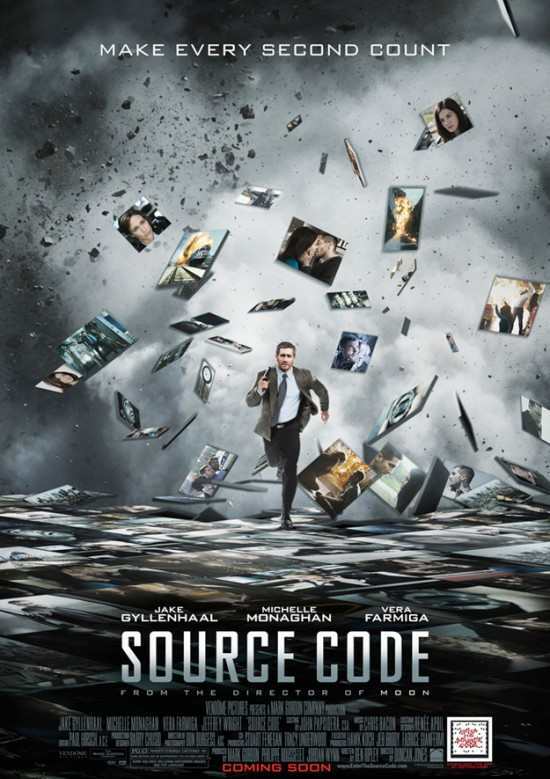 It is mandatory to compare Source Code to the Bill Murray-Harold Ramis comedy right? Or is that just collective critic laziness where we’ve all turned into agents who can only describe films in terms of other films? There is ONE scene, one brief sequence in Source Code that makes you think of Groundhog Day… the rest, it’s in a league of it’s own (no, it’s not a female baseball movie either). Duncan Jones (the son of David Bowie) with Source Code has seemingly avoided the dreaded sophomore slump, after his brilliant directorial debut with Moon, and delivered what is at once both highly mainstream and beats with some intriguing questions about life, death and regret. His visuals are often arresting (although not on the same ‘awe’ level as Moon) and we particularly liked the special effects used to show Jake Gyllenhaal’s Captain Colter Stevens enter the source code. Speaking of Jake, he gives another committed performance and we enjoy watching his confused idealist soldier navigate his way through the puzzle both inside and outside the SC. However, there are moments when his acting borders on cartoonish and we worry that he might Nic Cage himself in the near future if he’s not careful. Michelle Monaghan is so charming that we can completely believe the infatuation that Colter has for her Christina, even if they only get to see each other in eight minute segments (although it’s unclear just how many eight minutes Colter spends with her, what is clear though it the emotional connection that is created by the two talented thespians). However, the two supporting players feel a little out of place… Vera Farmiga isn’t given too much to do and she feels a little stiff doing it BUT she’s still not nearly as out of place as Jeffery Wright’s Dr. Rutledge (the genius inventor of source code). He plays up the character’s eccentricities (including shuffling around via cane) to the point where they border on laughable… Some have praised the performance but it just feels a little too cartoonish for us and detracts from the ‘gripping’ pace of the story. There’s also one really awesome voice cameo in the flick which we won’t ruin (so keep your ears peeled). Time travel movies are no easy feat… paradoxes, plot-holes and preposterous circumstances often undercut the thrills and emotional thread of these narratives but Jones manages to keep both in tact right up to the end. Does the science of Source Code work? No, that’s why they call it science-fiction. What does work is just about everything else and that’s good enough for me. Official Synopsis: “When decorated soldier Captain Colter Stevens (Jake Gyllenhaal) wakes up in the body of an unknown man, he discovers he’s part of a mission to find the bomber of a Chicago commuter train. In an assignment unlike any he’s ever known, he learns he’s part of a government experiment called the “Source Code,” a program that enables him to cross over into another man’s identity in the last 8 minutes of his life. With a second, much larger target threatening to kill millions in downtown Chicago, Colter re-lives the incident over and over again, gathering clues each time, until he can solve the mystery of who is behind the bombs and prevent the next attack. 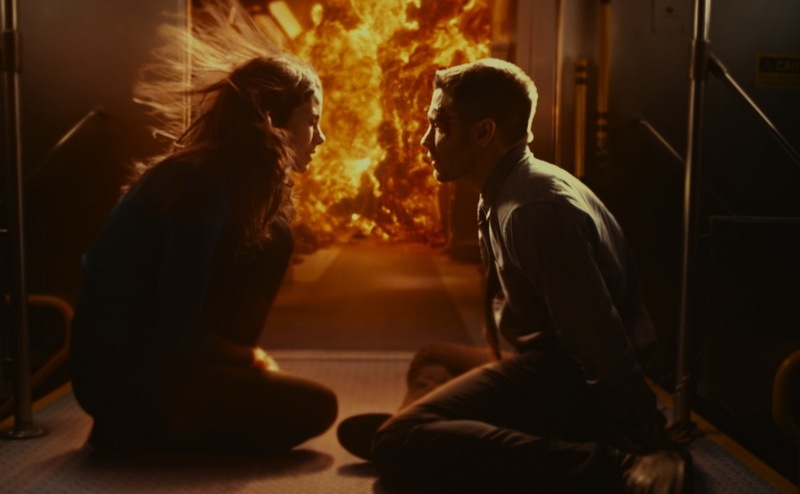 This entry was posted in Review and tagged duncan jones, jake gyllenhaal, michelle monaghan, moon, sci-fi, source code. Bookmark the permalink. “Might as well get this out of the way… Groundhog Day.” Hah! Every review I’ve seen today mentioned it… so you might as well just jump on the fawkin bus. You sold me ‘Oh Bearded One.’ I was hesitating, but a Hitchcockian Sci-Fi dinger? Yes please. Also, truth be told, I’m in love with Vera. If you read this Vera… I’m not nearly as cranky or lanky as my nickname makes me sound. I’m like a romantic Frankenstein’s monster. Right boys?